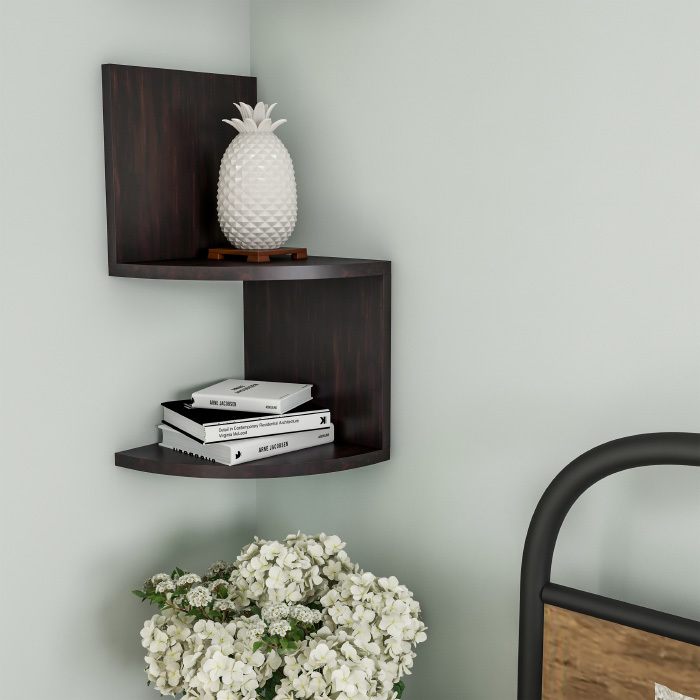 Style and function truly align with the Lavish Home Floating Tiered Corner Wall Shelf. The mounting hardware is concealed behind the sleek, zig zag style 2-tier shelf to give the floating appearance and complement a variety of home décor styles from modern to farmhouse rustic. The tiered corner shelf is perfect to bring life to an otherwise boring or empty wall corner by stylishly displaying your favorite books, decorative accents, photos, trophies, collectables, planters and more. Made from durable MDF wood, the shelf features pre-drilled holes and comes with the needed mounting and assembly hardware for easy installation. The shelves offer 2 tiers of ample vertical storage with beautifully styled rounded shelf corners. It is a practical solution for small space and a perfect way to add style to enhance and customize your home! FLOATING SHELVES- The shelf has concealed mounting hardware to give a floating appearance and bring a modern or farmhouse rustic look into any home. The shelving with a zig-zag design is an ideal way to add texture and interest to your wall gallery. CORNER TIERED DISPLAY- This shelf can turn boring wall corners into a creative and functional focal point to display books, collectibles, photos, planters, decorative accents and more. 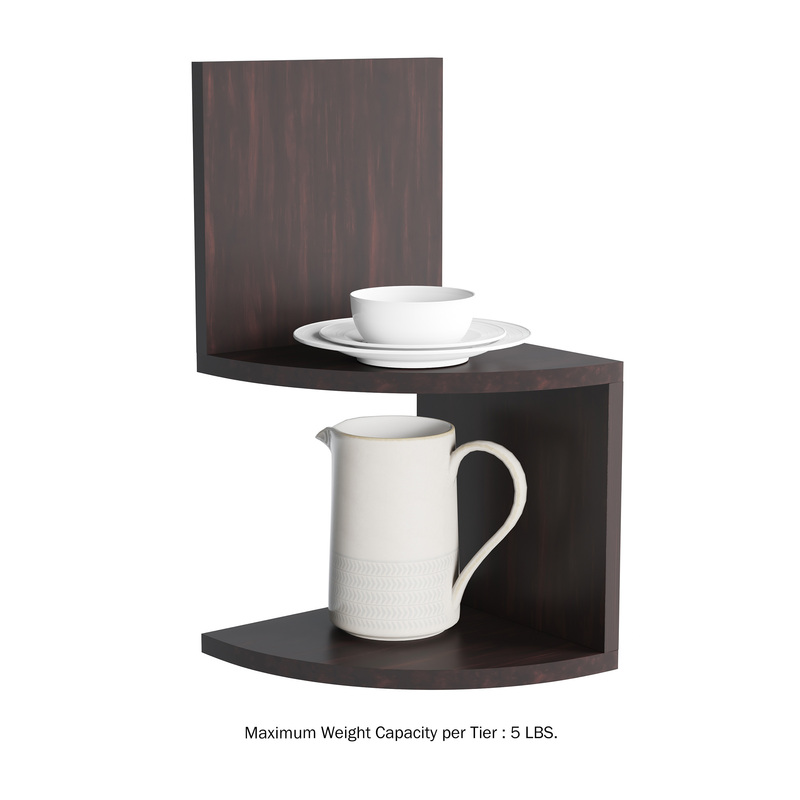 It offers 2 tiers of vertical storage and is great for small spaces! 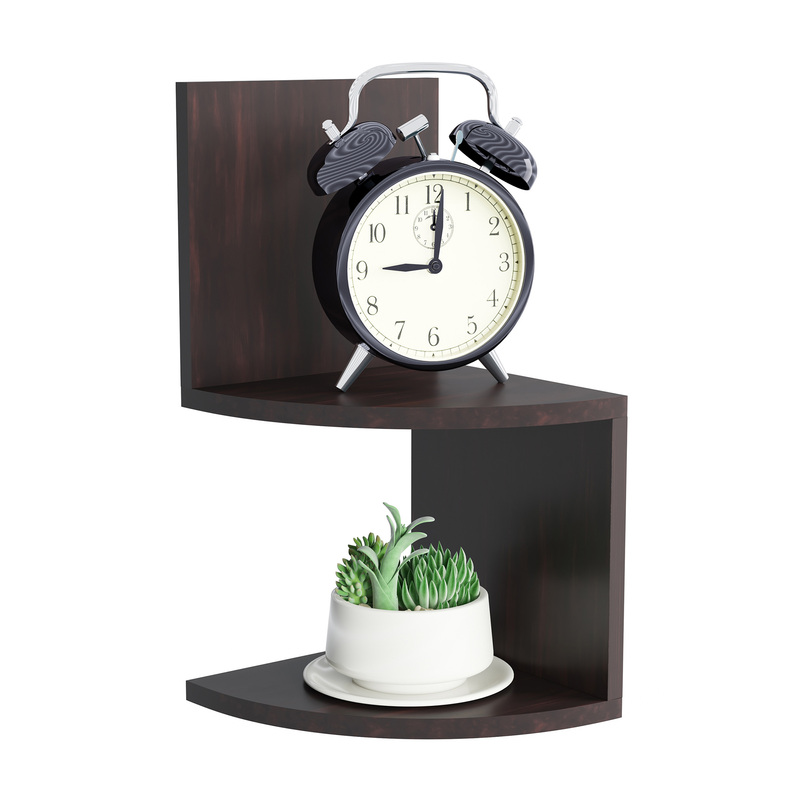 EASY HANGING- The shelf is made from durable MDF with colored PVC with woodgrain finish. It has pre-drilled holes for easy installation and comes with the needed assembly and mounting hardware. Mount into solid wood or wood studs for best installation. PERFECT GIFT- This practical decorative tiered corner shelf is a fantastic gift for birthdays, engagements, weddings, housewarmings, holidays, bridal showers or any occasion! Your interior design loving friends and family will adore this must-have item. 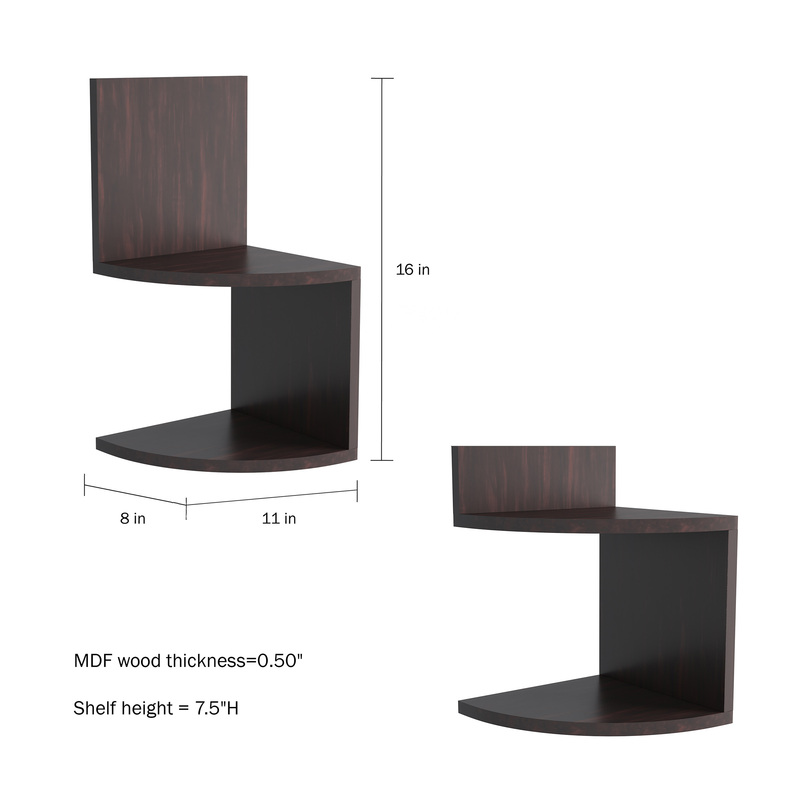 PRODUCT DETAILS- Dimensions: 11" X 8" X 16"; Each Tier Height = 7.5"H. Materials- MDF wood with colored PVC. Max Weight Capacity: 4.4lbs per tier. Color/Finish: Matte espresso brown with woodgrain finish. Includes 3 screws, 3 anchors for mounting.